Check out Anna’s latest CD, Boundless. Read the special feature on Anna in The Boston Globe. Anna appeared on NPR’s From the Top with Host Christopher O’Riley, Show 300, recorded in Boston, MA, on February 7, 2015. 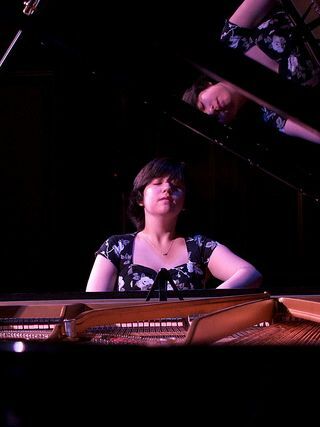 Anna Larsen (piano), 14, is from Needham, Massachusetts, where she attends Needham High School. She studies with Alexander Korsantia at the New England Conservatory. Anna is an alum of the Lang Lang International Music Foundation and a two time ASCAP Award-winning composer. She has attended the Aspen Music Festival and School and the Oxford Philomusica Piano Festival. Anna has performed at Carnegie Hall’s Stern Auditorium, Segerstrom Hall, Millennium Park, the Lincoln Center, and on the Oprah Winfrey Show. Outside of music, she enjoys photography, writing, and spending time with friends. Anna is a member of the Center for Development of Arts Leaders (CDAL) in Boston.